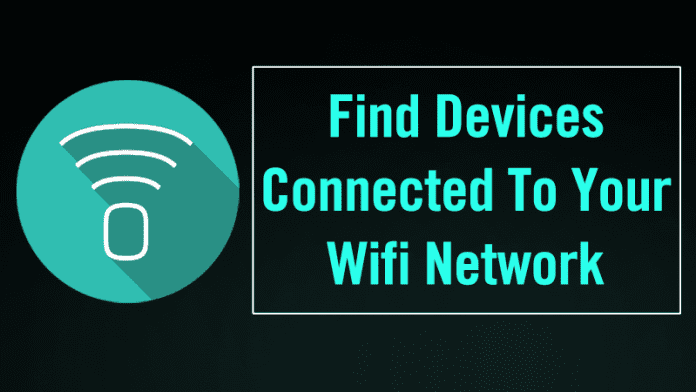 How To Find Devices Connected To Your Wifi Network: As we all know that, wifi is now used by lots of people and almost everyone is having their own personal wifi connection. However, you don’t have much option to know who’s connected to your Wi-Fi network. So, we are going to share an easiest way that will help you find devices connected to your WiFi network. Go through the post to know about it. 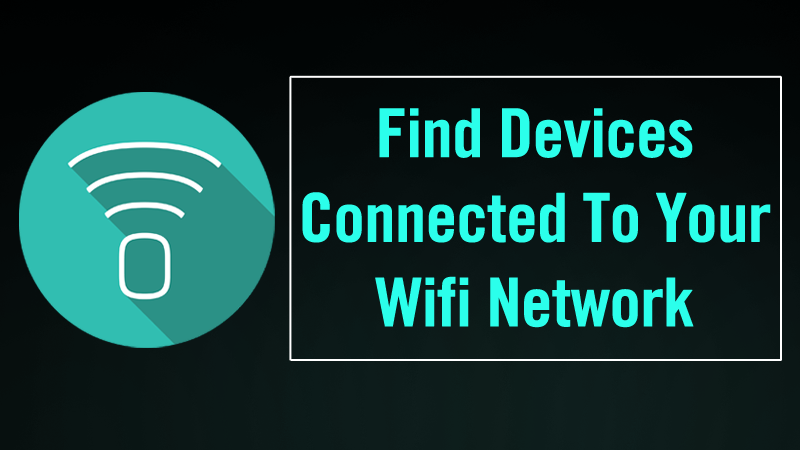 Today we are here with the cool trick to Find Devices Connected To Wifi Network. Lots of people now use wifi, and almost everyone has their personal wifi networks. However, sometimes other person knows your password and can use your wifi network, and with that, your bandwidths get divided, and your network speed gets slow. So to overcome this, we have a cool method that will help you check out all the device that is being currently connected to your wifi network. So have a look at the complete guide below. The method is very simple and depends on a cool tool that will work on your PC and will scan all the devices connected to your wifi network. Just follow up the below steps to proceed. Step 1. First of all in your Windows PC download and install the cool tool to scan devices at wifi network that is Wireless Network Watcher. Once you installed, you will see the screen like below. Step 4. Now you will see the list of all the devices with their IP address that currently being connected to your device. That’s it now you can check out the owner of that IP address and can trace that person. 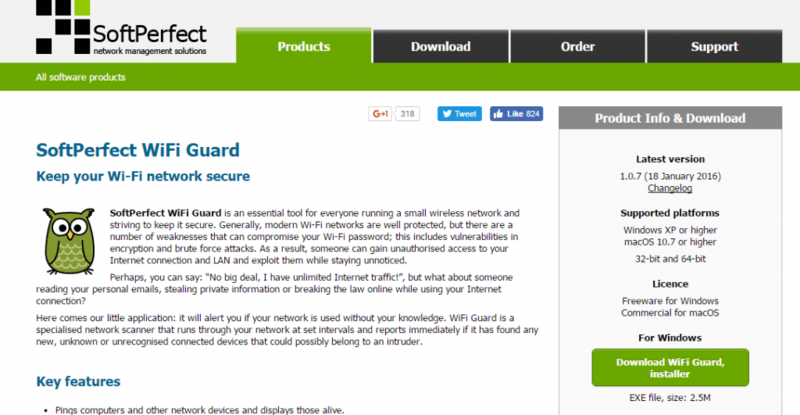 SoftPerfect WiFi Guard will alert you if your network is used without your knowledge. 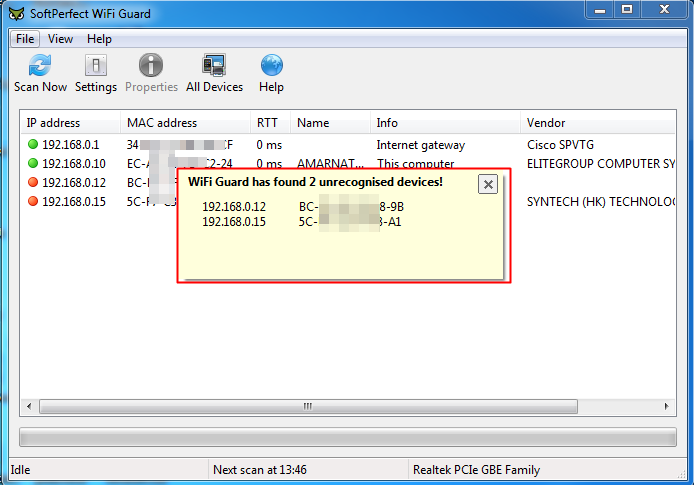 WiFi Guard is a specialized network scanner that runs through your network at set intervals and reports immediately if it has found any new, unknown or unrecognized connected devices that could belong to an intruder. Step 1. First of all, you need to download and install SoftPerfect WiFi Guard on your computer and run it. Step 5. If any unrecognized device connects with your WiFi network, it will notify you. 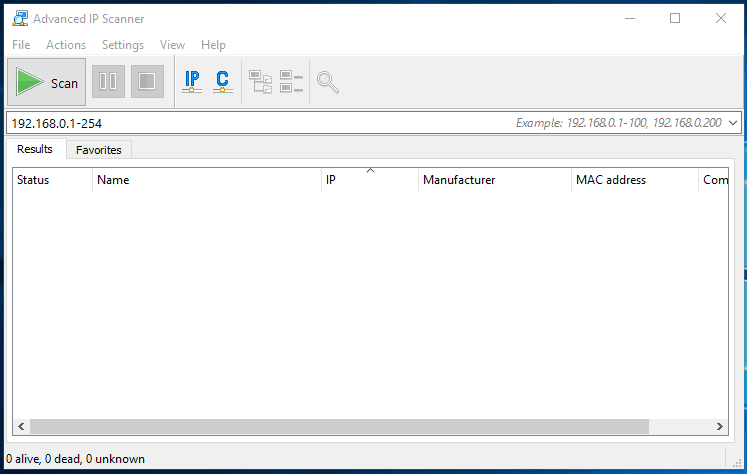 You need to download the Fing IP Network Scanner to access the superfast and reliable Network IP and Wi-Fi Analyzer on a Windows Machine. This is actually not a tool, like SoftPerfect Wifi Guard this actually works in a command line which will give you the MAC and IP address of all connected network. Lets’ know how to use it. Step 1. First of all, you need to visit Fing.io and then need to download and install Windows- IP Network Scanner on your Windows computer. Step 3. Now you will see the screen like below, here you need to select the option Discover. So, you need to type D and then hit the Enter button. Step 4. 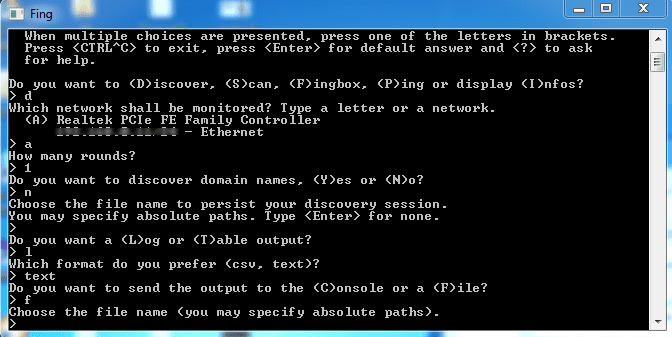 Now it will ask you to select the network that you want to monitor by selected the assigned letters. 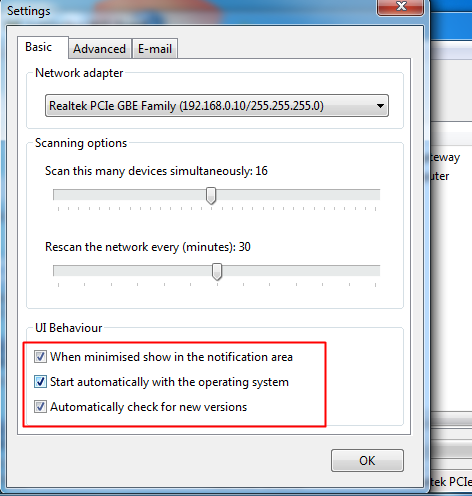 Simply select the network that you want to scan. Step 5. Now you will be asked to select how many rounds. Simply select “1” to continue. Step 6. Now you will be asked some more questions like do you want to discover domain names, do you want the output in Log or text, which format do you prefer etc., simply select all according to your wish. Step 7. After selecting all, you will be asked: “Do you execute it now” here you need to Type “Y” to continue. Step 8. 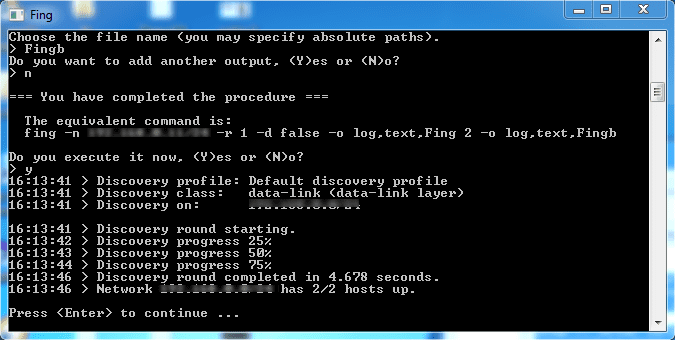 Now it will scan for the network and you will find the output file on the desktop. That’s it! You can now see all the connected devices to your Wifi network. Advanced IP Scanner is another best tool which can do a number of tasks in addition to scanning your network for connections. 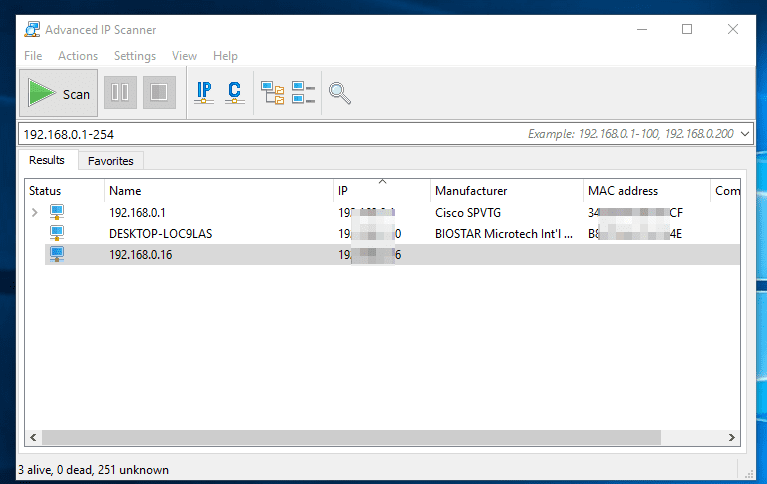 This mini tool also features remote options to Wake-on-LAN and shutdown, connect via HTTP/FTP as well as remote control with Remote Desktop and Radmin. Step 1. 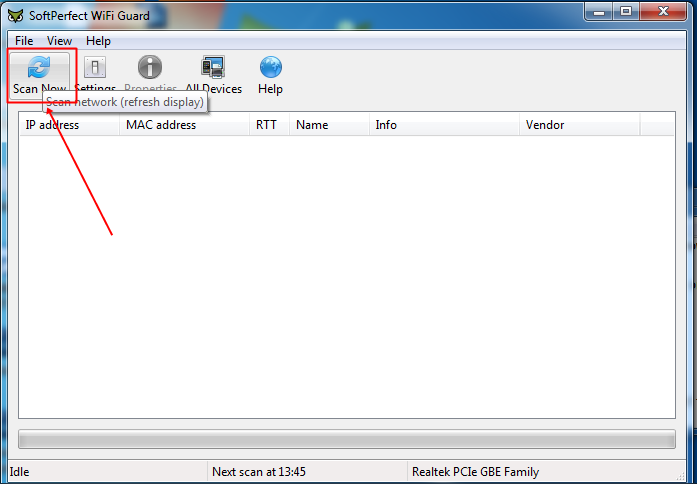 First of all, download and install Advanced IP Scanner on your Windows computer from here. Step 2. After Installing the too, you will see the screen like below. Step 3. Here you need to tap on the “Scan” button to start the scanning process and wait for few minutes until it finishes. Step 4. Now it will show you all the list of devices that are connected to your Wireless network along with IP Address and MAC address. To block any of the connected devices, you need to copy the MAC address and block it by going through your modem settings. 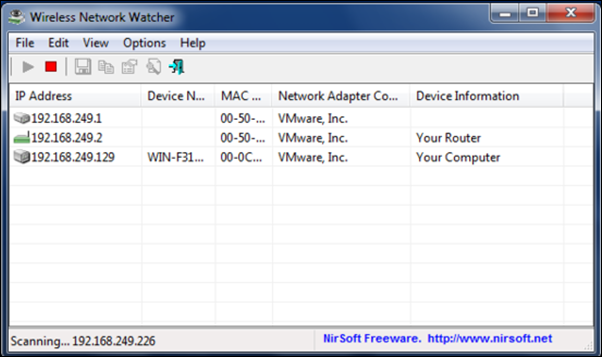 Well, this is another best network scanner for windows which you can use to scan devices connected to your WiFi network. However, it’s worth to note that Angry IP Scanner is Java-based which means that it needs Java Runtime Environment to run. This mini tool pings every IP Address in the selected range for a response and then displays devices connected to your WiFi network. 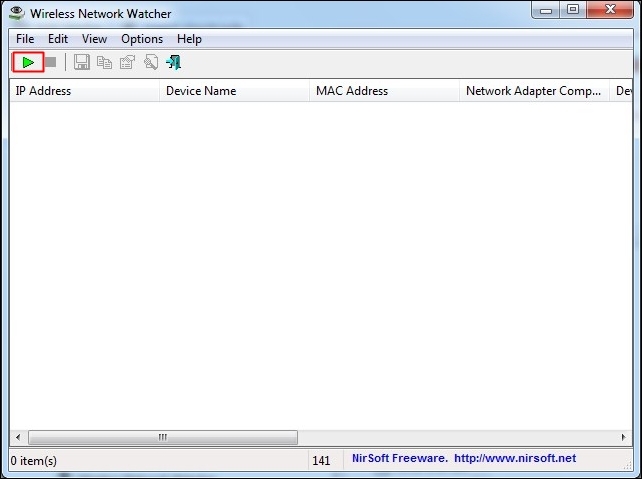 Well, this is another best wireless network watcher which you can use to identify the computers connected to your network. This tool actually carries an awesome interface and it automatically warns you when unknown or unidentified connections are made. This mini tool is available in two version, free and premium. 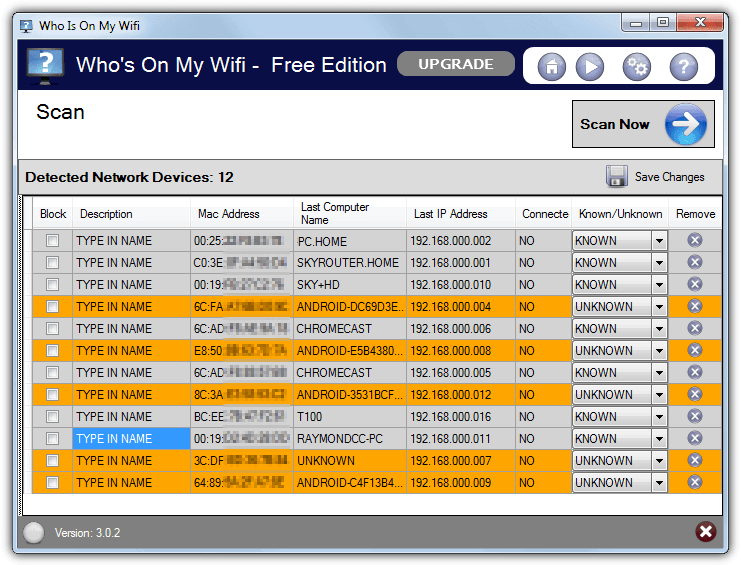 The Free one just lets you scan and find devices on your WiFi Network. Well, Android & iOS also have an app for scanning devices connected to your WiFi. The app which we will be using is known as Fing. Fing- Network Tools is available for both Android and iOS App Stores and it let users find devices connected to the current WiFi network. Below, we will be sharing an working method on how to use Fing to scan devices connected to the Wifi on Android. The same method applies to iOS. Step 1. 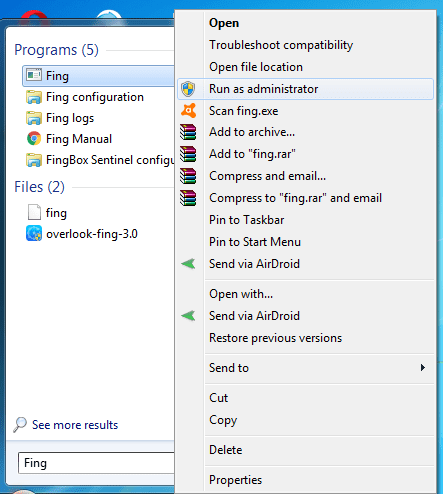 First of all, download & install Fing – Network Tools on your Android smartphone. You can get the app from Google Play Store. Step 2. Next, open the app from your App drawer and it will ask you to grant few permissions. Make sure to grant all permissions. Step 3. Now you will see the main interface of the Fing app. You just need to tap on the ‘Scan’ to scan all devices connected to the current WiFi network. Step 4. Wait until the app finishes the scan. Once done, it will list out all devices that are currently connected to your WiFi network. Step 5. If you want to gather more details about the connected device, tap on the IP Address and it will provide you more detailed report. That’s it, you are done! 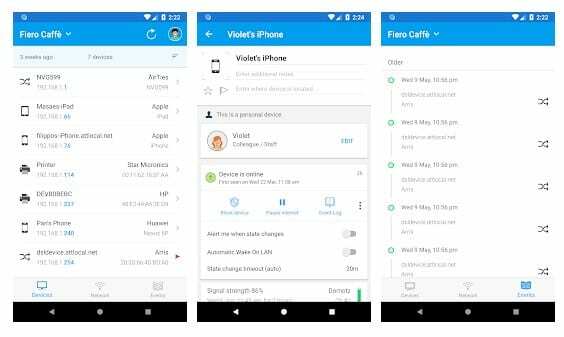 This is how you can use Fing – Network Tools to find connected devices Android and iOS. If you have any other doubts, then make sure to discuss with us in the comments. 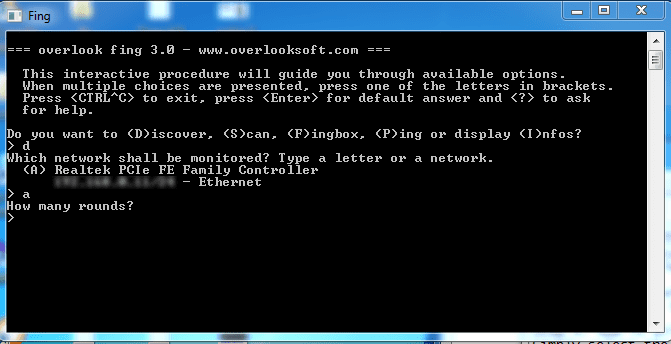 So above is all about How To Find Devices Connected To Your Wifi Network. With this method, you can easily trace out all the device that being currently connected to your wifi and stealing your wifi network. Hope you like this, do share with others too. Leave a comment if you have any related queries with this.